When you spend a long time gaming or just want somewhere to wind down, you want something that’s not only comfortable but convenient. X-Rocker’s amazing and inexpensive line of chairs provide just that and more so. They provide some of the best audio based comfort gaming chairs on the market today and the reviews have been astounding for their products. Today, we’re going to go over the X Rocker 5125401 Chair - 2.1 Wireless Bluetooth Audi Pedestal chair. This chair has a lot of the same features and functionality that some other X-Rocker chairs have but we’ll go into depth and detail about what we found interesting about the chair. We’ll share some of the things we didn’t particularly like or things that we feel could be improved on and we’ll also talk about the perks or pros of the chair as well. Is this the right chair for you? It’s pretty budget friendly and has great reviews, so let’s dive into this X Rocker 5125401 and see what it’s all about. The X-Rocker 5125401 Chair right off the bat looks like the perfect console gaming chair, due to its height and how the chair’s design is tilted to lean back. This makes it easier to see the TV and help you dominate your competition with a leading edge. One of the first things you’ll notice about the X Rocker 5125401 gaming chair is the sleek modern design with red and black. Red and black is a common popular theme that X-Rocker likes to use because it gives chairs that fierce look. Ergonomic as well as stylish, the seat is more of a racer style than a classic rocker. And that makes it ideal for gamers that want a more upright position. This allows you to have a more eye level position and can keep you comfortable for much longer. A solid and stable pedestal gets you up off of the floor to give your legs someplace to go instead of straight out in front of you. This makes it a rocker that is suited very well for adult gamers. The mesh material is great at keeping you cool and not overheating during long gaming sessions. Everything about the X Rocker 5125401 gaming chair is designed to keep you comfortable so you can enjoy more hours playing your favorite game. 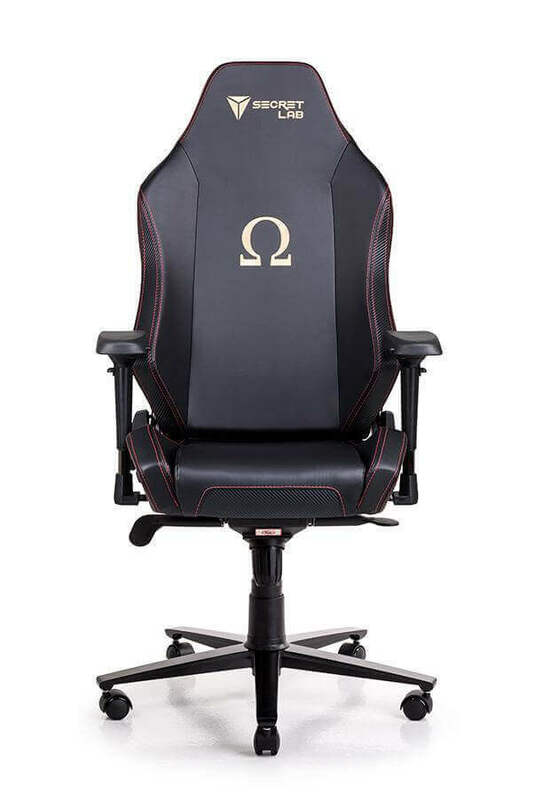 Since it is so comfortable you may find yourself spending plenty of time in the chair even when you're not gaming. There’s also a different numbers of materials used in this chair and there’s thick padding on the bottom of the chair where you’ll spend most of your time. What will users most enjoy doing in this chair? If you’re reading a book or trying to study for homework, it’s very comfortable and allows you to lean back so you don’t hurt your neck in the process like you would in the standard computer office chair. Another great feature we noticed right away are the jacks on the side so that you can lounge and listen to music if you’d like. The X Rocker 5125401 chair makes it convenient to do just about anything so expect to get a lot of use out of it. The pricing of the X Rocker 5125401 Gaming Chair seems relatively friendly as well, something that’s hard to find in other gaming chairs out on the market today. You don’t have to fork over an arm and a leg when you purchase a chair from X-Rocker. The X-Rocker 5125401 promises high definition audio and even Bluetooth capability for a pretty fine pricing point. Let’s go over some of the features of the chair that we liked and what those features offer for the customer. Assembling the X Rocker Chair with Bluetooth is very easy and can likely be done by one person. In essence, you are really only putting the pedestal and armrests together. Where it could be problematic is trying to attach the chair to the base as it can be heavy for one person to maneuver it onto the pedestal. It will likely take you less than 30 minutes to put it together and no special tools are needed. The easy to use functionality of the volume and all the accessible RCA outputs. This made it relatively easy to hook anything up and get it working straight away, nothing gave us trouble that we threw at it. Being able to tilt and swivel was another huge plus. Stationary chairs while they are comfortable often lack mobility and you have to get up if you want to see what’s going on behind you. The quality of the sound was astonishing and definitely top notch. It almost felt like you were there and fully immersed in the game or movie. The surround sound itself is definitely worth the price tag. The price tag is budget friendly and not expensive what so ever. Setting up the Bluetooth and wireless capabilities is very easy thanks to the very thorough and detailed instructions provided. You can stream music from your phone if you're looking to listen to music when not gaming. Some of these chairs when initially sold were sold with bad stitching and were starting to fall apart on arrival. However, we didn’t notice bad stitching and the problem since has been corrected to our knowledge. If you have multiple chairs, you can connect them so you can game or watch movies with your friends. If you’re hosting a party and you want to show off your skills, connecting the chairs is relatively simple and hassle free. There’s two different speakers and a subwoofer installed in the chair. The audio used is a high quality 2.1 AFM to ensure that you’re fully immersed with the sound. You’ll feel like you’re right there in the middle of the action. There’s multiple RCA outputs that allow you to plug in a different number of things including a Bluetooth radio. As long as you have something with a RCA input, you’ll be able to enjoy it with this chair. Comes with the functionality of swiveling and tilting, so you’re not stuck in one position the entire time. X Rocker Chair with Bluetooth come restrictive on height or weight like some of the other gaming chairs released by X-Rocker that was designed for kids. If you’re 6” tall and over 200 pounds, you can still enjoy this chair. The choice is simple, if you’re looking for a chair on a budget and you’re looking for something that provides high quality comfort along with sound that immerses you into the game, you’ve found the right chair. It’s hard finding a chair today that provides not only comfort but the functionality of X-Rocker chairs in general with a pricing point that isn’t going to break your bank. Thankfully, X-Rocker is a wonderful company that specializes in gaming chairs and the X-Rocker 5125401 chair delivers on every single that word that is promised. The RCA connectors work flawlessly, except with the PS4 that a couple of customers have had complaints about. This might be a hit or miss thing as we can’t find any known issues regarding the PS4. When you lean back, you’ll instantly feel the comfort and wonder how you sat in a hard standard chair for so long. The surround sound instantly surrounds you and makes your visual experience on the television so much better. 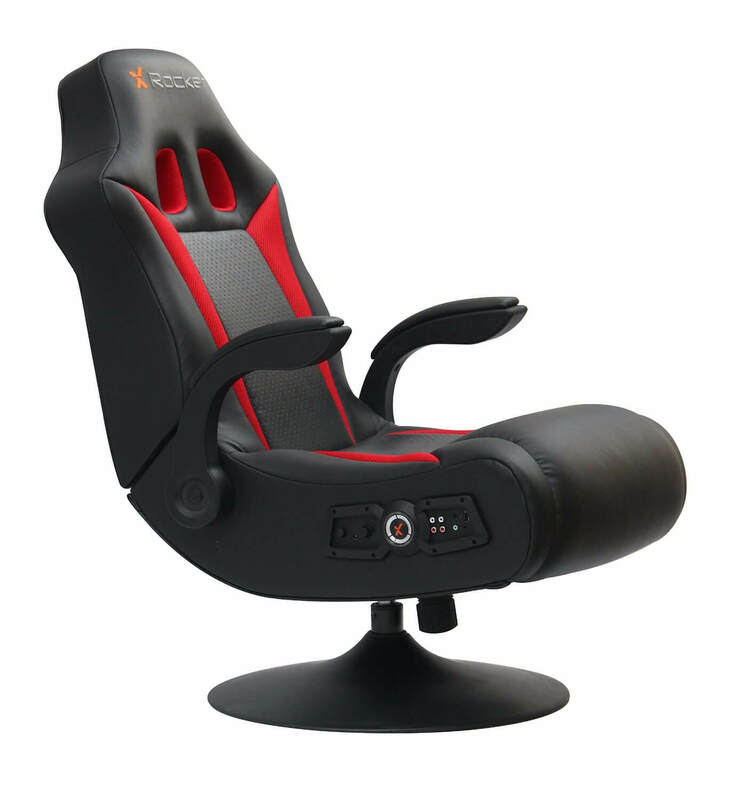 The X Rocker 5125401 chair is great for consoles, great for movies, great for reading and all around a really great chair. It’s great for a Christmas gift or even a birthday gift. Your kids will love it and it’s also ideal for teenagers. Some adults have even reported using it but we don’t recommend it if you’re over 200 pounds or larger than 6’2”. Call them here and share your product number and purchase details – 1-866-969-2603 anytime between 7:00 a.m. and 3:30 p.m. (CST) Monday through Friday to speak an X Rocker® support staff member in North America.